If you are like me, very busy and slightly old school, then you can completely appreciate the power of the paper planner. Maybe it was because I was taught that physically writing things down was the best way to remember them- we are talking the prehistoric era here- and that the smell of a book was greater than a fancy kindle any day. Regardless, I truly look forward to transferring my dates and details into a new planner every year. 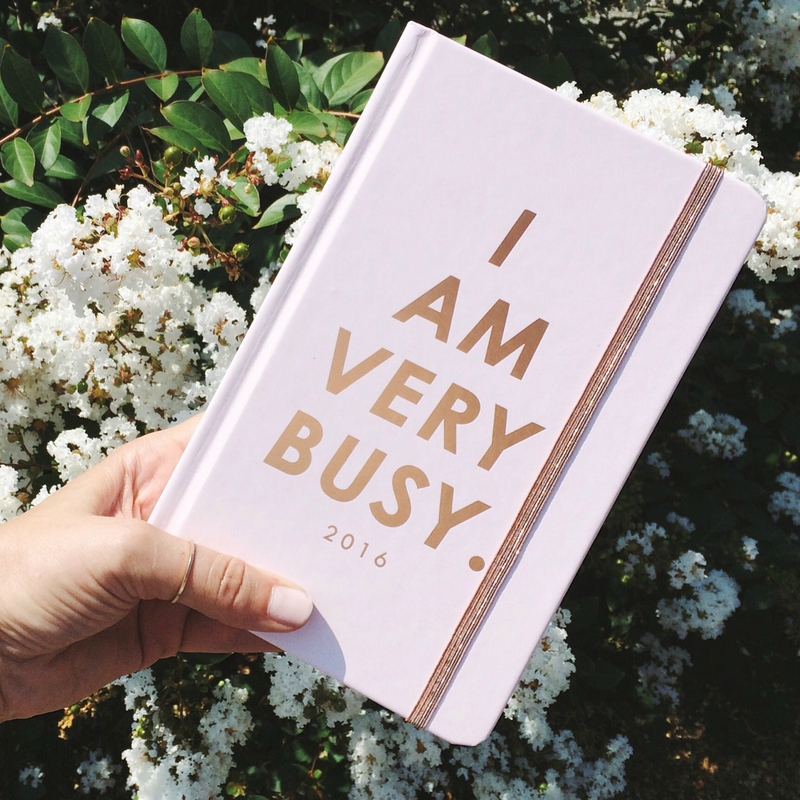 This year I wanted to find a planner that really represented who I am, since the object is almost literally an extension of my person. Aside from the inside essentials of monthly calendars, spaces for to-do lists, and a place for me to jot down my daily musings and tasks, the two things I searched for were minimalism and its ability to become an accessory when needed. And boy did I find all of these things with this Ban.do paper scheduler. The planner starts from the month you purchase it (some asked me about this when I featured it on my Instagram), has monthly words of wisdom, and even sprinkles in a healthy dose of inspirational quotes and images throughout. Plus, I love that I can poke fun at myself when I carry it. If you know me personally, you know I am always talking about how busy I am juggling a full time gig, column and this blog, so the cover is quite humorous and truly quite perfect for me. I love it! I’m big on planners and this one is just too adorable.